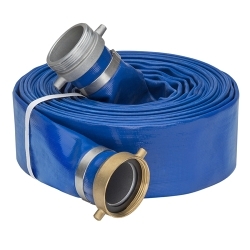 1-1/2" Blue PVC Water Discharge Hose Assembly w/Female Coupler & Male Adapter Ends | U.S. Plastic Corp. 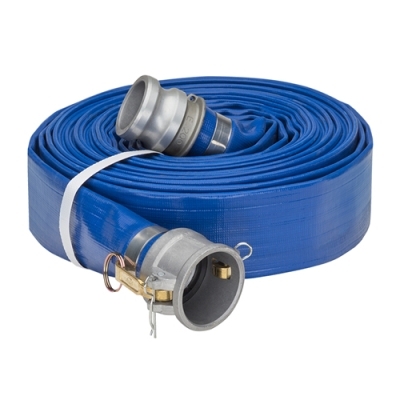 Hose ID is 1-1/2" and wall thickness is 0.059". Working pressure is 70 psi. 50' assembly weighs 9.5 Lbs. Hose assembly comes with one Aluminum Female Coupler x Hose Shank end and one Aluminum Male Adapter x Hose Shank end.